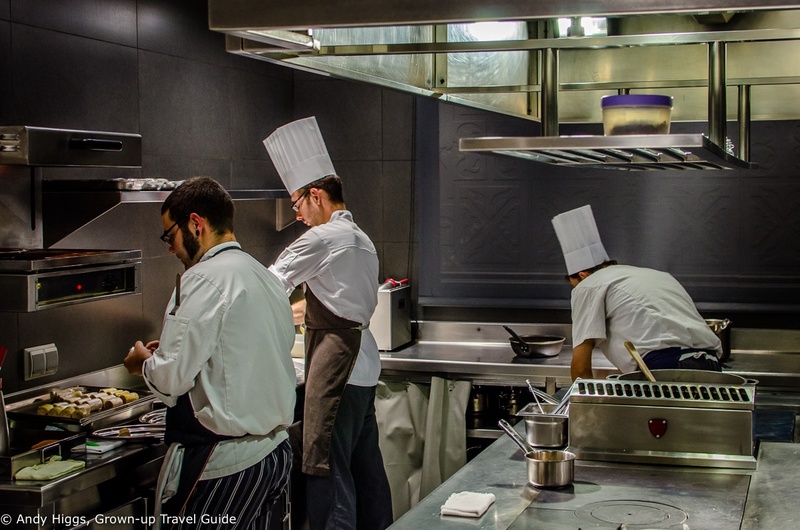 by Andy Higgs in Eat, Drink and Be Merry, Europe, Features, Home, Places, Spain. This is the second article in the series detailing some of the many highlights of the Costa Brava in Catalonia. In case you missed the first one, you can read the post about Blanes here. Note: My meal was generously paid by the Costa Brava Tourist Board as part of a press trip. Opinions are, as always, my own. 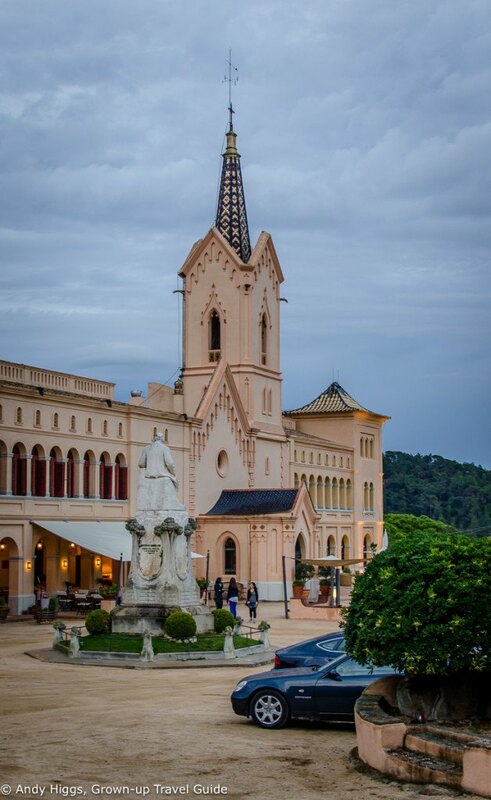 Lloret de Mar is a resort town with a mission – to change its image as a charter tour/party destination in the minds of most potential visitors to something more sophisticated. It has to be said that it faces an uphill battle, especially given its reputation – or rather notoriety – among British and German travellers. One of the first Costa Brava beach towns to be drastically redeveloped for package tourists, Lloret was spoiled by rapidly completed and poorly considered building projects but in recent years the authorities have made progress in highlighting its attractions. Because the town has many of them – it’s just they are more hidden than in most of the places along the ‘Rugged Coast’. As mentioned previously my first ever experience of a package tour was with my family to Lloret in the 1970s – a long time before the urban beach town idea was conceived. My memories are of a great beach at the edge of a concrete jungle of hotels, bars and restaurants, the latter serving British food to British guests. 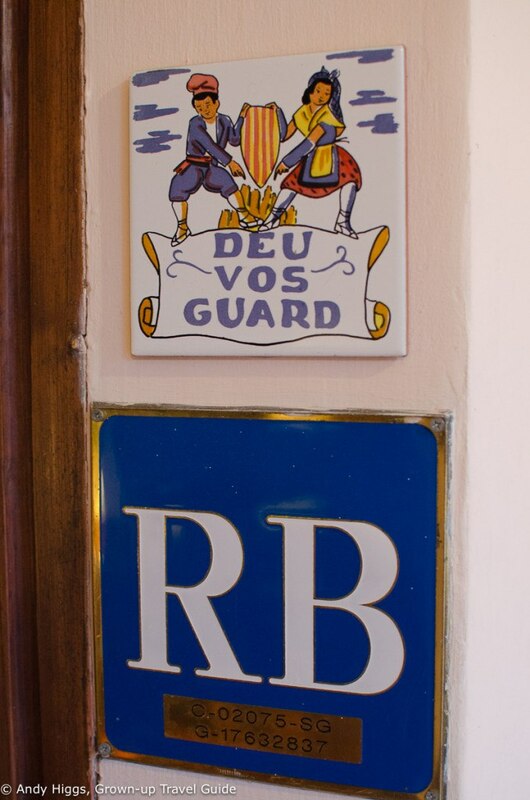 Some 5 km from the centre of Lloret de Mar is the Hotel and Restaurant Sant Pere del Bosc. The road here is a little bumpy but believe me, it’s worth it. Situated on a picturesque estate that was formerly owned by the fishermen’s guild, the property was established in the 10th century and as well as a magnificent main building the grounds contain an old benedictine monastery and several notable statues and sculptures. 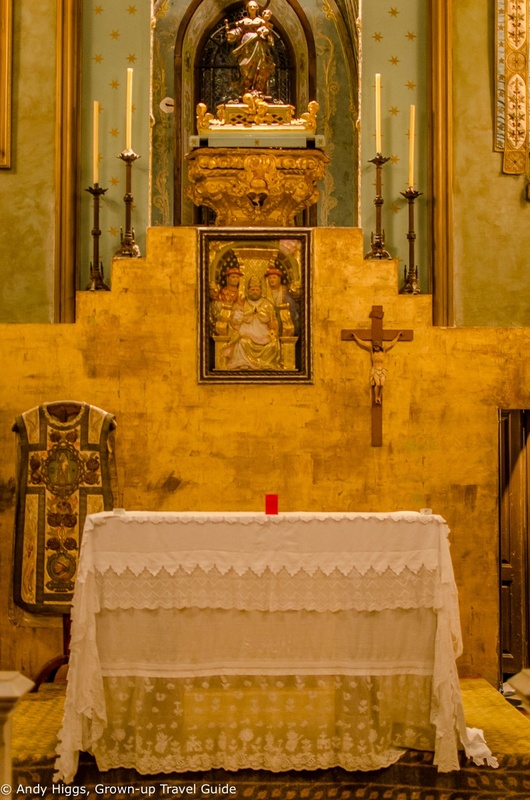 Sandwiched between the restaurant and the hotel is an ornate and well-preserved chapel – Mare de Déu de Gràcia (Our Lady of Grace) – built by a later owner, the ‘Indiano’ Nicolau Font i Maig who bought Sant Per in 1860. Indianos are an integral part of the history of the Costa Brava – locals who moved to the West Indian colonies to seek their fortune, found it and returned with it to spend on lavish homes and lifestyles back in Catalunya. 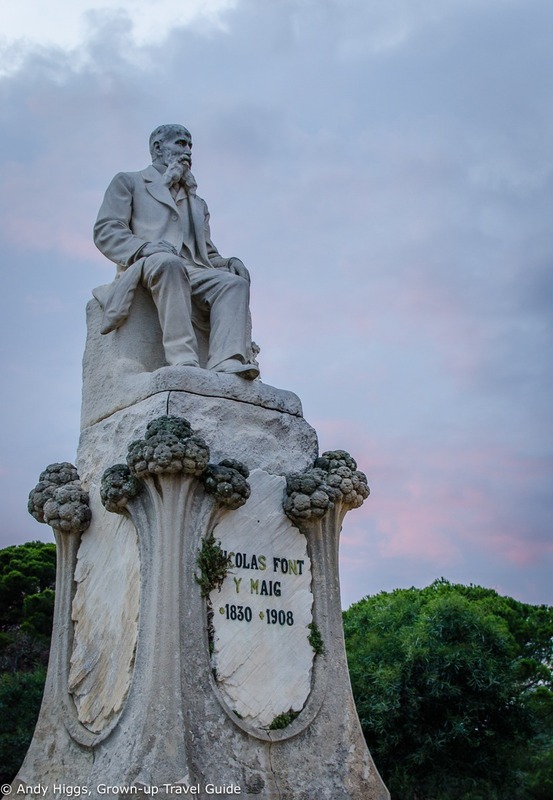 Many Indianos also helped their communities; Nicolau Font i Maig was no exception, providing shelter to the vulnerable on his estate. He and his family were laid to rest in marble tombs located in the chapel crypt. 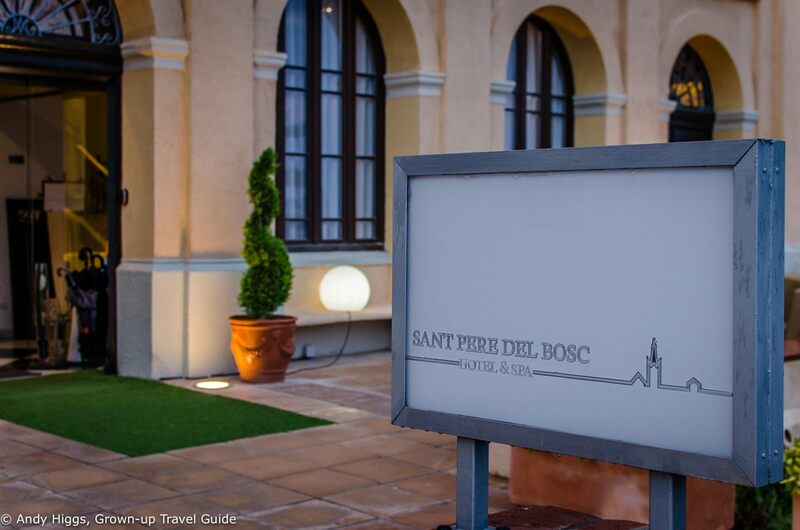 As well as a five star hotel and spa which will have to wait for my next visit, Sant Pere del Bosc offers the best dining experience in the Lloret de Mar area. Like many of the best eateries, the concept here is fairly simple – healthy, modern dishes based on traditional recipes from the area using the finest local ingredients. Guests receive attentive service in an intimate yet laid back setting. From the moment we arrived it became clear that dinner was going to be a special event. The owner, Nico Cabañas, greeted us and after showing us to our table, invited our group to visit the wine cellar and kitchens. 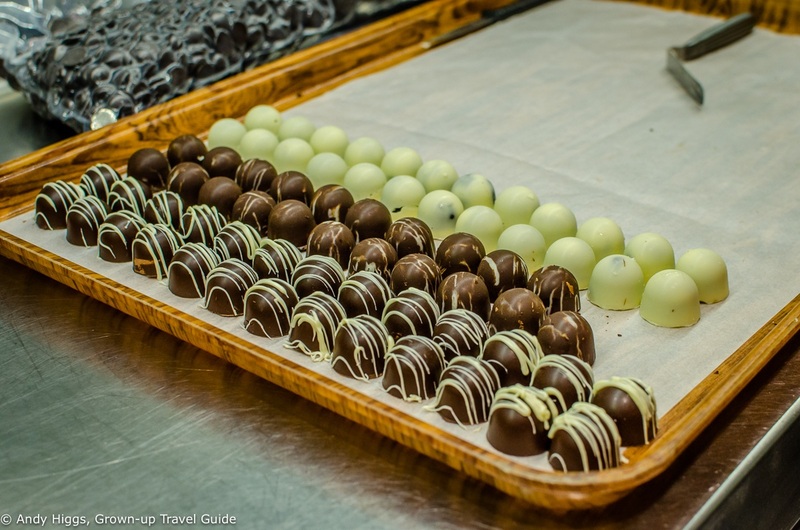 This was not just for our benefit, either – every guest is given the same tour before eating. 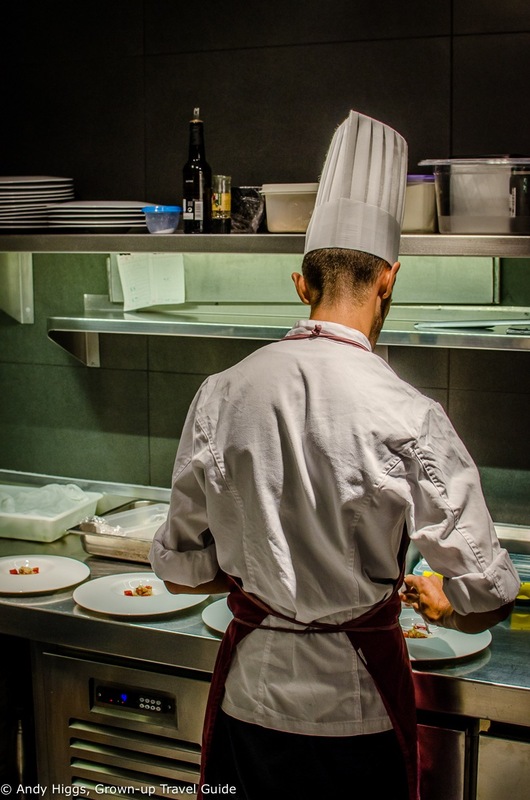 As a former kitchen employee myself, I always love the chance to experience the backstage area of a restaurant. I find it’s quite easy to judge how much the staff enjoy their work by the atmosphere in the kitchen, and here it was relaxed yet highly professional. Many of the herbs and spices are grown and harvested in the hotel grounds. Back at our table we had a chance to take in the view over the grounds. 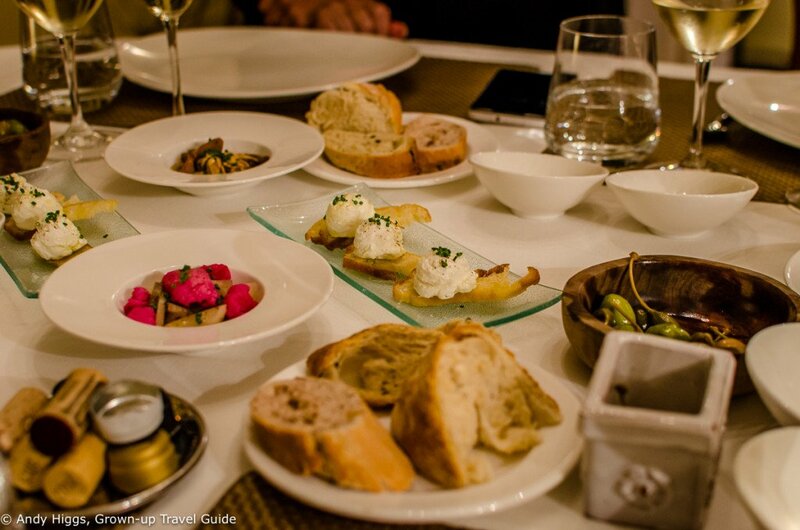 In the summer guests can eat outdoors on the terrace but we were happy to be indoors on this rainy night. 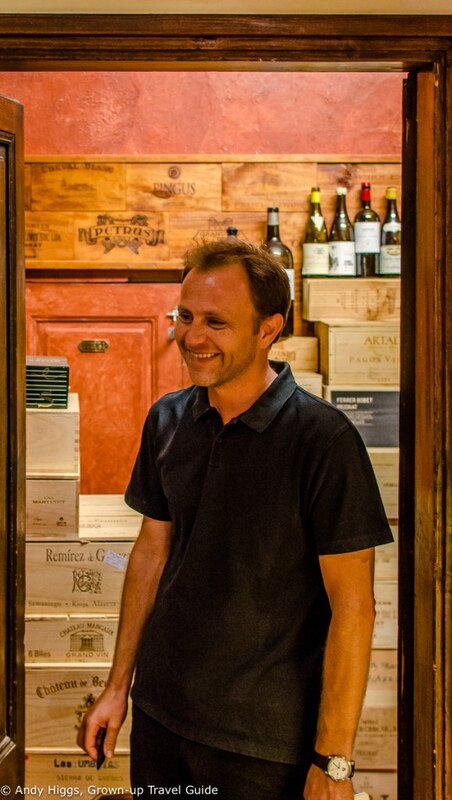 We had time to chat with Nico about the history of the property and his involvement in it, and his passion for food, wine and a good time was infectious. He also expanded on some of the key principles employed by Sant Pere del Bosc. Quality is paramount, only the best products are used and a healthy diet is given much emphasis. Equilibrium is vital, maintaining balance between calories and pleasure. The menu sends the guest on a journey through the senses, with an overall vision employed to create originality in presentation. Even sounds are given priority – crispness and crunchiness enhance enjoyment. 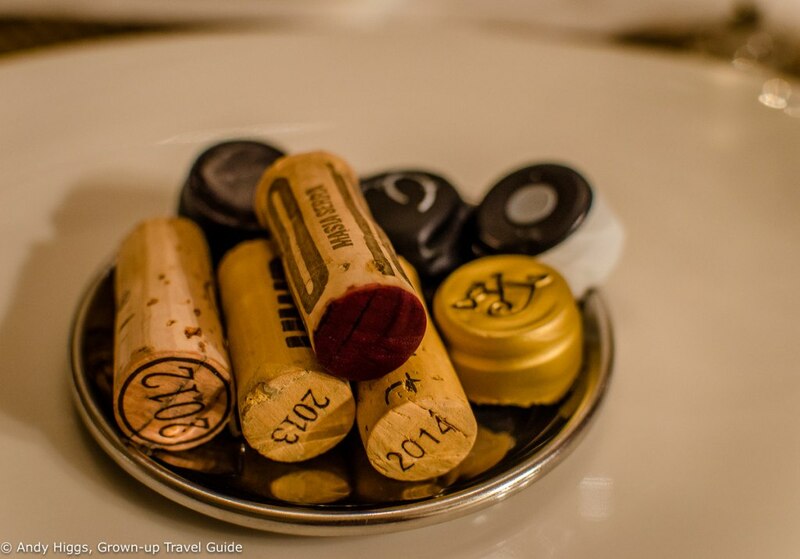 Textures and aromas are also vital. 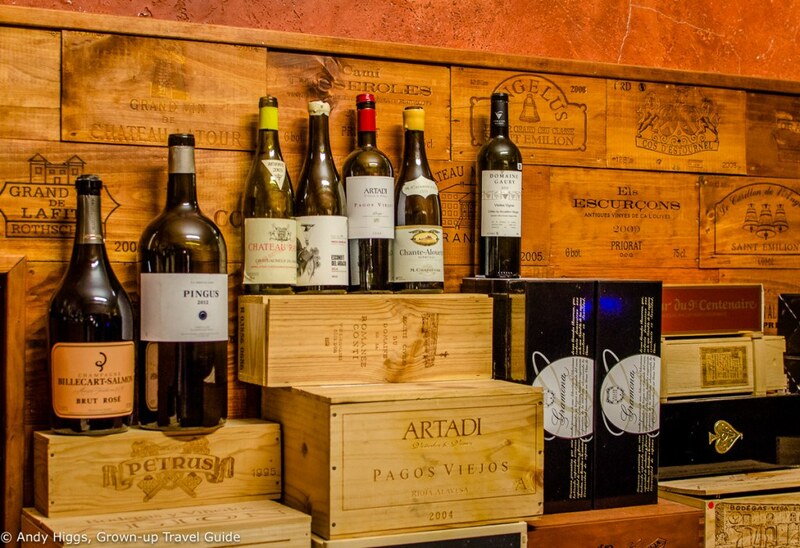 Taste is obviously important – but here the idea is to combine the traditional with the international. 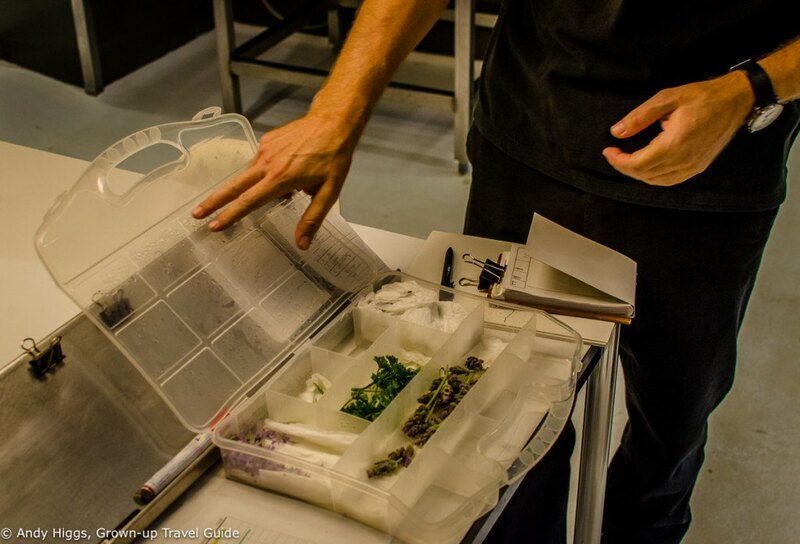 Finally seasonality ensures that the menu reflects the time of the year and the ingredients available. Suitably impressed and inspired, it was time to go to ‘work’. Presentation was immaculate, but the taste was even better. 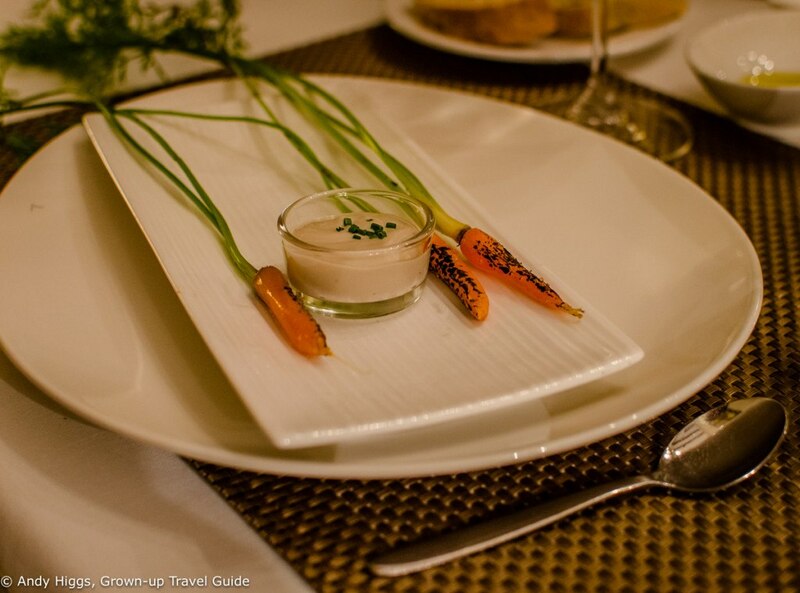 It’s hard to resist a photo of these incredibly cute baby carrots – they were bursting with flavour, too. 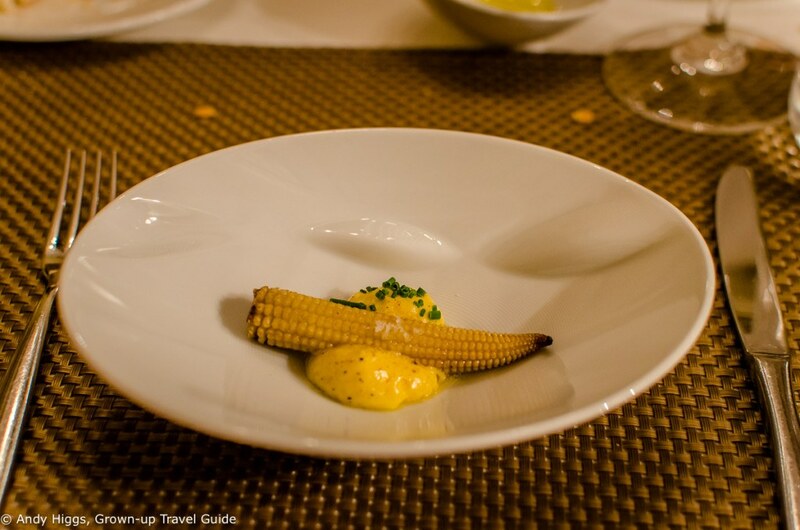 Grilled baby corn with béarnaise sauce. 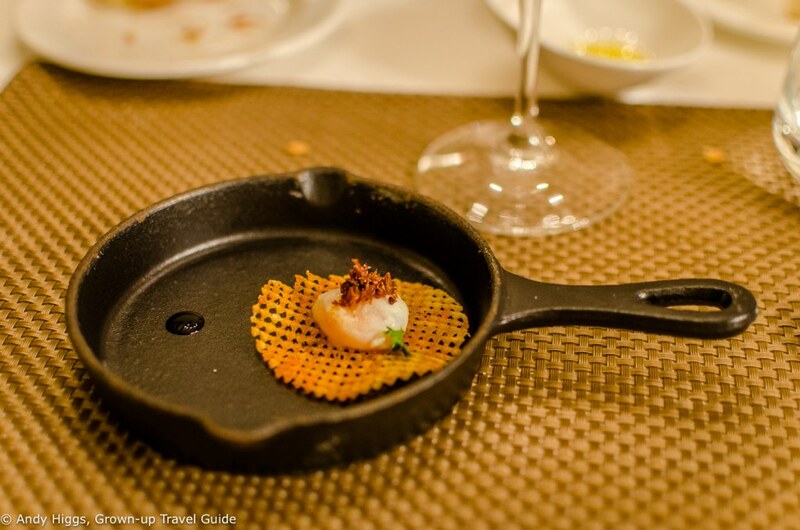 A tiny skillet for each guest – another first for me! Whew! There were a lot of dishes but portions were well-sized so it never felt like too much. You should also ask to be shown the chapel next door. It is really impressive and intricately decorated. I didn’t have the right lens for taking decent pictures inside but you get some idea from this one. 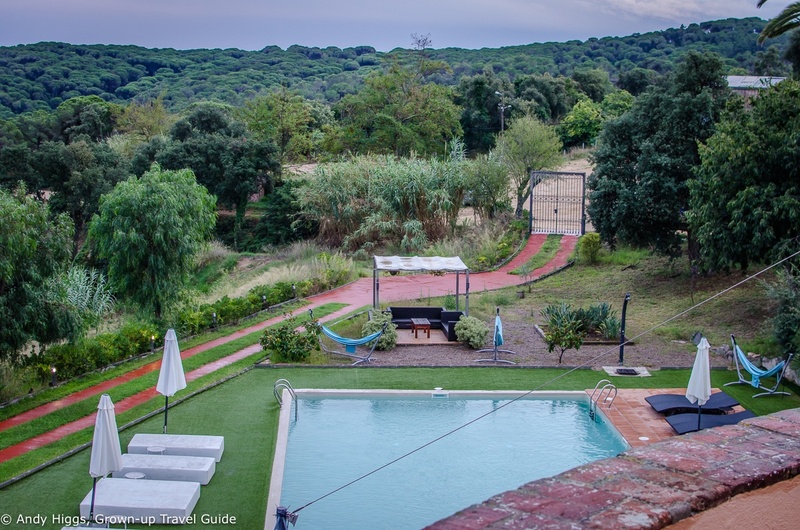 You won’t be surprised to learn that I loved it all; dinner at Sant Pere del Bosc will be remembered as one of the highlights of 2015 – indeed of all my travels. Like you, I revisited Lloret de Mar last year for the first time since the 1970s, and found it a complete revelation. 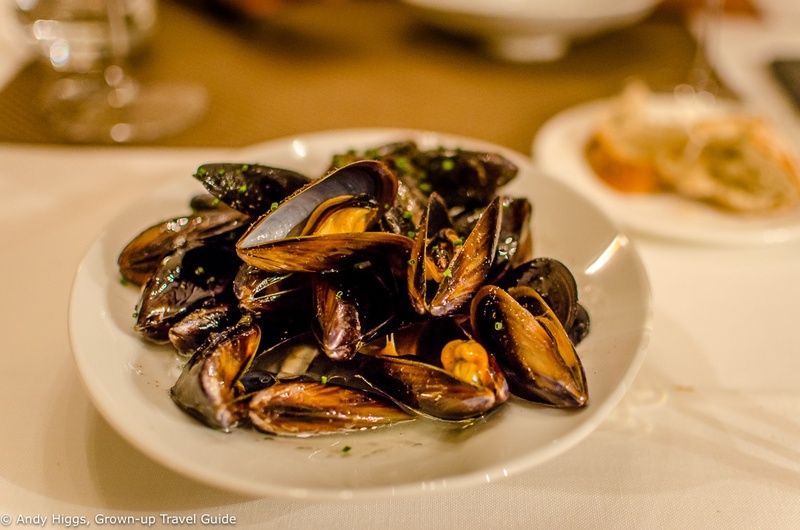 So much to see and do there, and as for the food… When I went before I seem to remember chips and English cafes but this time I tried the traditional Catalan food – much nicer! 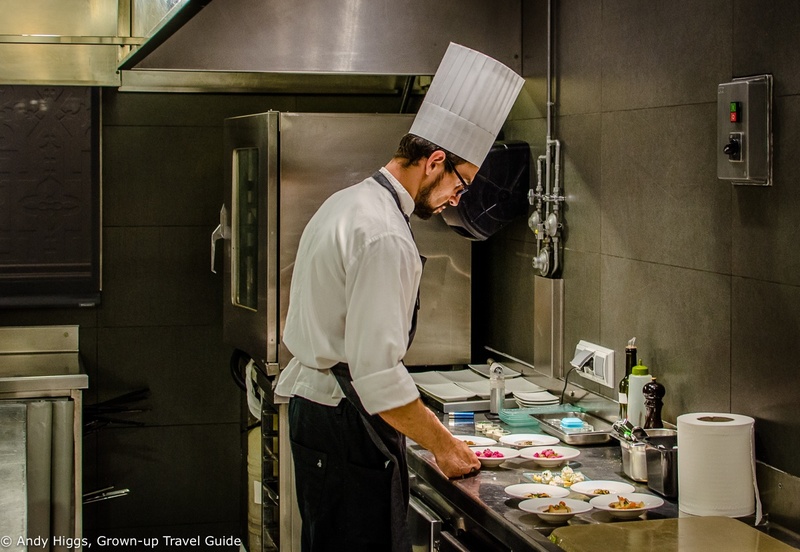 I definitely want to return and spend more time there – they seem to have done a good job in reinventing themselves 🙂 And yes, Catalan food is incredible!